Benefit from expertise you can count on! Because AD-Men is ALSO a dedicated team, AD-RH, on hand to guide you through the installation process... and beyond! Create your own candidate pool, source your talents quickly etc. AD-Men includes a high-performance invoicing tool so that you can manage everything from a single tool. A team dedicated entirely to your project is on hand to provide support. AD-Men View allows you to offer your clients a new service: a direct view of the assignments you’re carrying out on their behalf. You therefore provide them with transparency and a way to track your work, making it a real-time web-based progress report! AD-Men is getting a makeover in Autumn 2017- Discover S6. In short S6 is: 1. A dynamic new interface, a completely upgraded home screen with a customisable background, as always (admin. rights). 2. Lists with wider spacing for easier reading. Can invoicing always be carried out from AD-Men? Like many of your fellow recruiters, you may be wondering if it’s still useful for your company to have specialised recruitment software? AD-Men, the software program dedicated to the world of recruitment, is continually improved to help make your daily tasks even easier. The software program for recruitment agencies is user-friendly. As soon as your recruitment agency or company launches a recruitment assignment, AD-Men comes into play. François Housseau, Sales Director at AD-RH, explains how important it is for recruitment agencies to equip themselves with comprehensive CRM software (Customer & Candidate Relationship Management) for business, recruitment and invoicing activities. Aurélie Carleschi, Formatrice chez AD-Men, présente les différents avantages AD-Men pour les recruteurs. François Housseau, Sales Director at AD-RH, explains why it is important to invest in dedicated recruitment software. The primary objective is to increase efficiency and build synergies between different players. 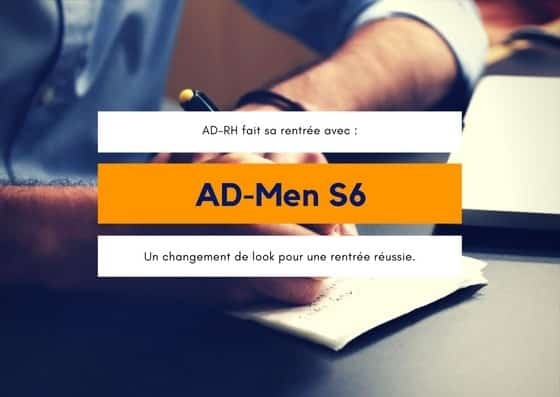 Today, François Housseau, Sales Director at AD-RH, talks about the tools connected to AD-Men. Our objective is to save you even more time and centralise information in a single tool: AD-Men. Aurélie Carleschi, a trainer at AD-RH and Adrien Granger, a developer at AD-RH, introduce the AD-RH team, and highlights the strengths and skills their clients can count on. AD-Men, Spend more time on your business.